Kwanghee will be discharged from his mandatory military service Friday. 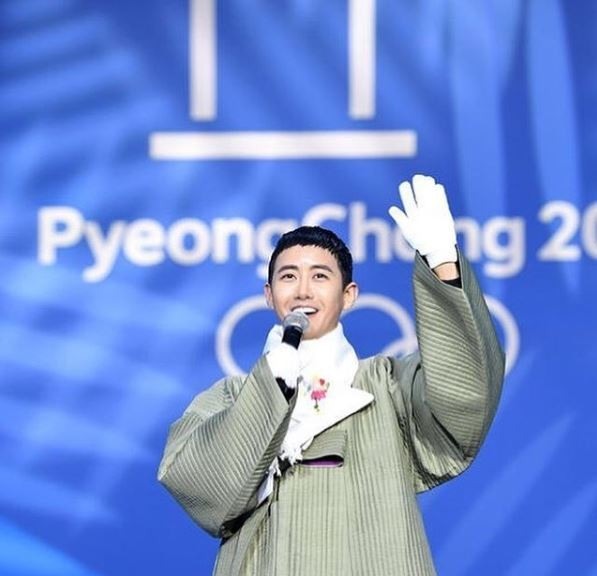 “Kwanghee will celebrate his momentous day by meeting fans at the place where he will be discharged on Friday at 9 a.m.,” said the singer’s agency Bonboo Entertainment on Thursday. The singer had enlisted on March 13, 2017 and served two years in the military band. “Kwanghee got multiple calls from TV programs, so he will be appearing in front of his fans often from now,” said the agency. Kwanghee debuted as a member of the K-pop boy band ZE:A in 2010. He has appeared on various reality programs and became a cast member of MBC’s “Infinite Challenge” in 2015.